With no cell service in Australia, and due to the fact that my friends and I had all taken different flights, we had a little trouble finding each other. We got it all figured out and went and got Ethiopian food for lunch and some snacks. We then made our way to the Gold Coast where we went to our beach house. It was a cute little 4 bedroom, 2 bathroom house that is 72 steps away from the beach. They call the street we are on "Millionaire Row" because nobody else can afford it. Some family friends know the owners and got us a killer deal for only $95 each for 10 days. We walked down along the beach as the sun set and walked around the town a little before turning in for the night. Monday morning we woke up and had crumpets for breakfast. They are kind of like a mix between and English muffin and a pancake and they were really good! 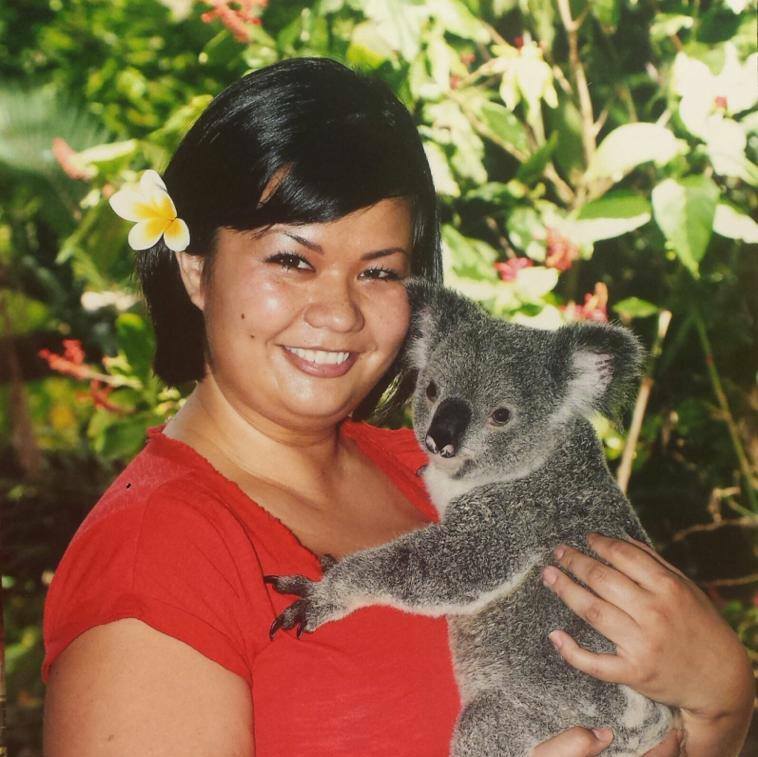 After breakfast we went to the Currumbin Wildlife Sanctuary. We had so much fun looking at and holding some of the animals! 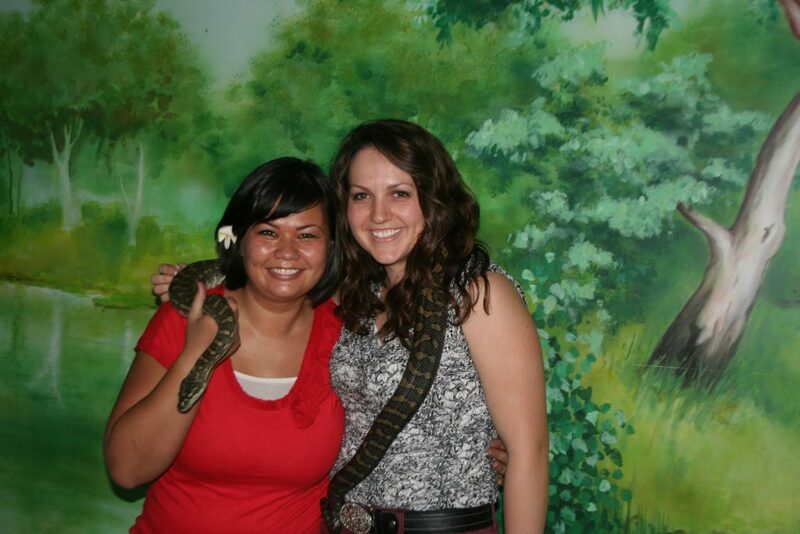 We got to hold a koala, a python, and a baby crocodile. We also went to an Aboriginal Dance Show and a crocodile feeding where we watched two crocs eat whole chickens (already dead). 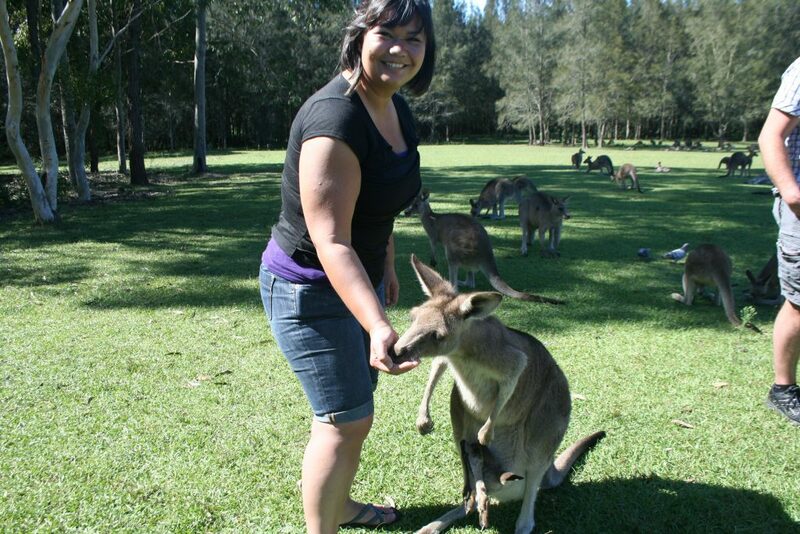 We got to feed kangaroos, they were eating right out of our palms. There were also lots of birds, including wild parrots and owls. We saw an iguana at the animal hospital, some Tasmanian devils, frogs, lots of koalas (even with joeys inside), and a couple of dingos. 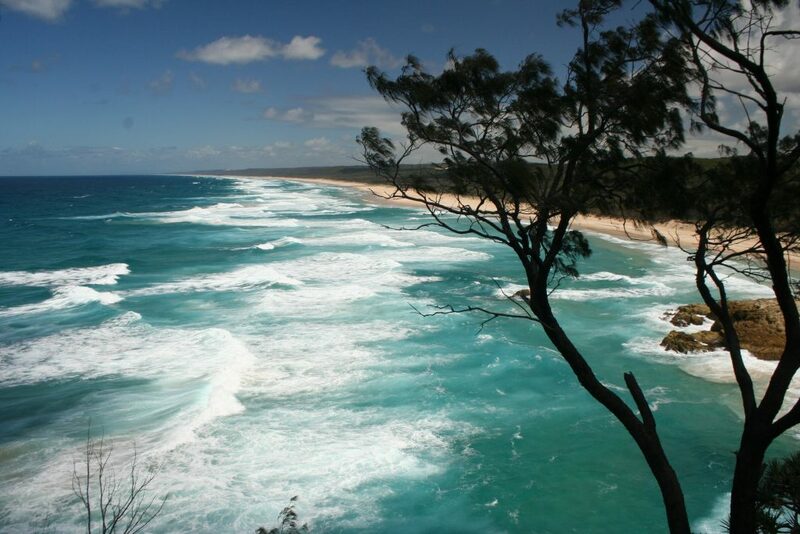 Tuesday morning we drove to Stradbroke Island (Straddie). We had hoped to go scuba diving and snorkeling, but couldn't find any place to let us book day of since it was the off season. We found a beautiful walk along a wooden walkway above the ocean that was very beautiful. Then we had lunch and went to another beach to play in the waves. It was so much fun just jumping and playing and having a lazy day on the beach. We really wanted to see dolphins in the wild so we went to a jetty where someone said you can always see them. I talked to a girl who was there and she said she had seen some 15 minutes earlier and they swam right up to the jetty. So we waited and finally saw some in the distance. Soon they swam right up to the jetty again. 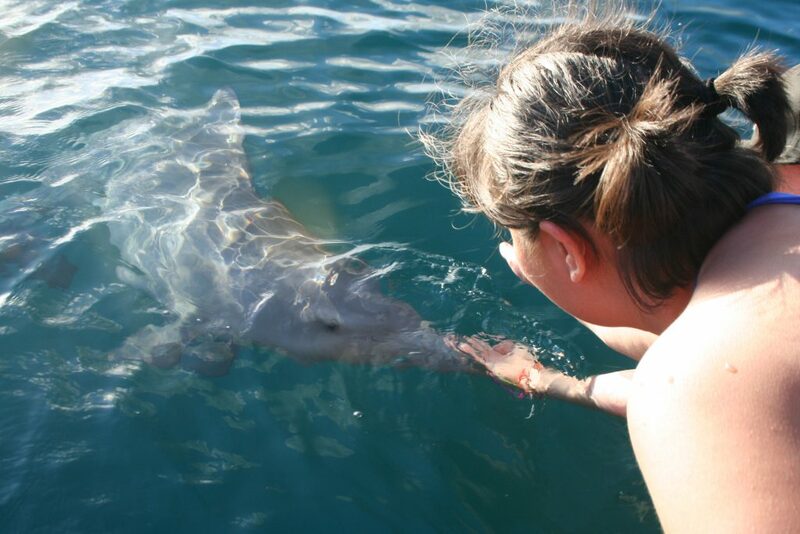 Laura handed me some shrimp and told me to feed it, so I got to feed and pet wild dolphins! It was so great. We fed and petted them for maybe 20 minutes. Such a cool experience. We went to a restaurant on the water and had fish and chips for dinner. Wednesday we tried again to get a hold of a place to go scuba, but found out that nobody was doing it because of the weather. It was too windy and the waves were too high to go out. So we went to a place to get wifi and find something else fun to do. We stopped at a place called humble pie for lunch and got meat pies since those are big in Australia. They were delicious! 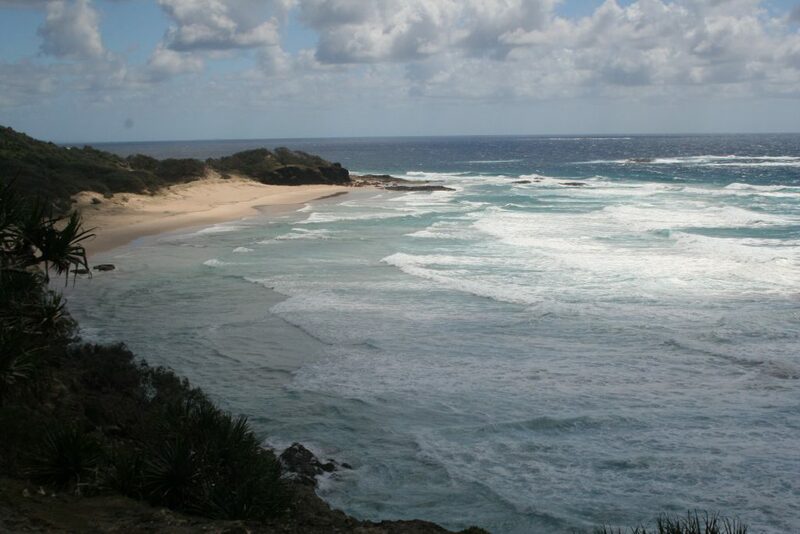 Then we drove down to the Byron Bay lighthouse, which was gorgeous. We saw another pod of about 16 dolphins, this time further out since we were up above at the lighthouse. We also saw a ray and a couple of sea turtles. We then booked a horseback ride in the woods, hoping that would be a cool replacement for our lack of scuba. It turned out to be a ride on their property, which was disappointing and not exactly what they had advertised. Thursday we we packed up to head down to Sydney. We went to lunch at a little cafe on the beach and then took off. We drove to a little town about 2/3 of the way there and stayed there for the night. The whole way Kelly and I had our eyes peeled for a wild koala, but no such luck. Friday morning we got up and went to a place called Tartt for breakfast. Best breakfast I've had in a long time! It was avocados on sourdough with eggs and an Egyptian spice called dukkah (I later learned that this can be purchased at Trader Joes!). 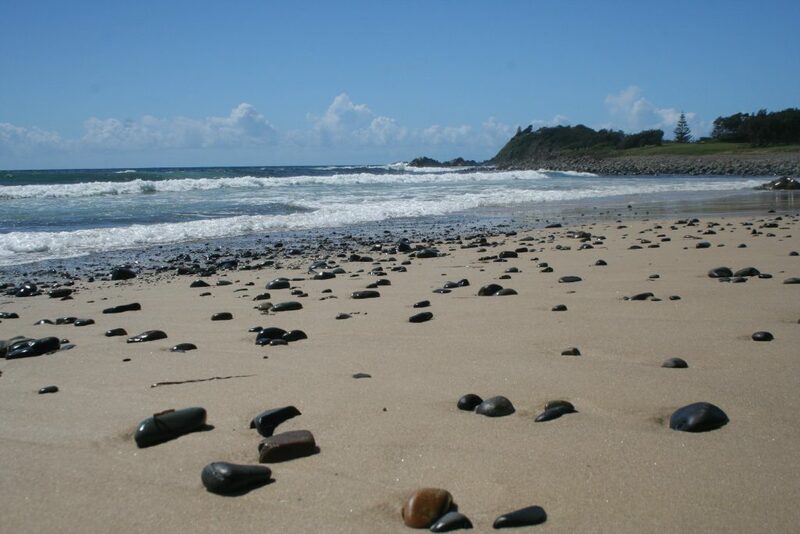 We drove down to a pebbly beach nearby and then along the coastline. We stopped at a place called the green cathedral that was a bunch of Palm trees with an amphitheater in the middle and a podium and an alter, all overlooking a lake. It was incredible. Our next stop was a city called Morisset that we had been told had a bunch of wild kangaroos in a field. We had some kangaroo food so that we could feed them without worrying about their health. We went to this field where they all lived and walked right up to them. There were a couple of hundred kangaroos in the field! They came and ate the food right out of our hands. They had sharp claws, but they would just hold your hand as you were feeding them. We even had a mama with a baby hanging out of her pouch eating out of our hands! It was great. We headed down to Sydney and went straight downtown for a dinner cruise! We boarded the ship and had a buffet dinner while the ship cruised around the harbor. 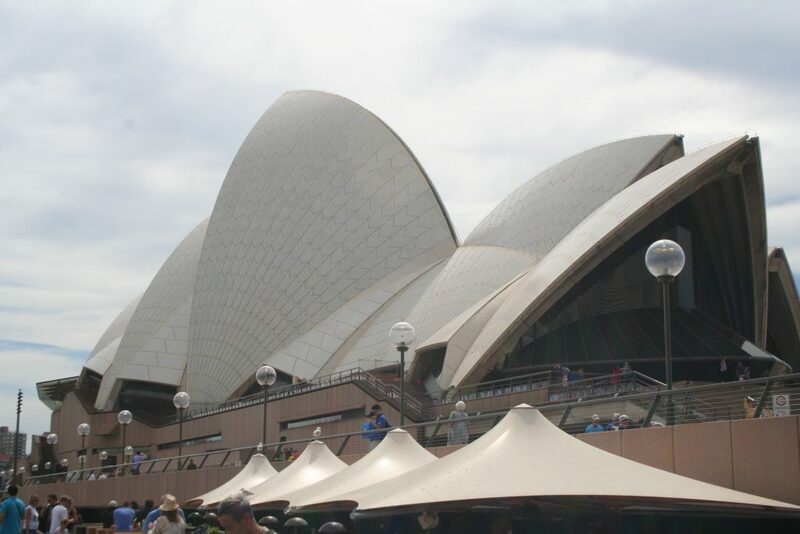 We went right next to the famous Sydney Opera House and under the Harbour Bridge. We went up on the top deck and two men came up and started talking to us and taught us some things about Sydney. For example, the homes that we were floating past sold for $32 million dollars. After the dinner cruise we went and checked in at our hotel. After checking in we ran out to try to hit Max Brenner (my favorite restaurant) before it closed. We got hot chocolate and some truffles, but couldn't get anything else because we got there too late. Saturday we walked down to the Opera House for a tour. It was so neat to see such a historic building. I learned that the architect got banned from the country because it was taking so long to build, and by the time they released his ban, he was old and not well so he never got to see the finished project. So sad. The two main theaters in the Opera House are pointing toward the harbor and there are 5 theaters in total. At the end of the tour we found out that we got a discount on opera tickets, so we went to see Carmen, which happens to be one of my favorite operas. In the Sydney a Opera House! I am such a lucky girl. 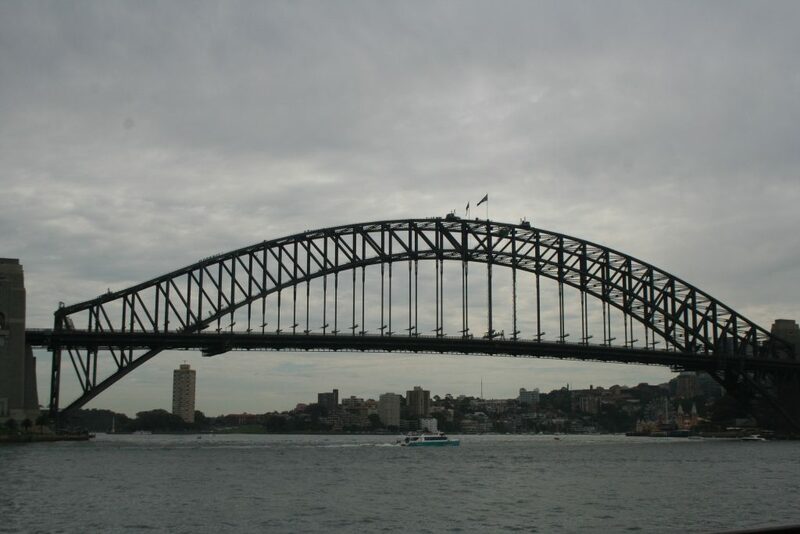 We had booked a Harbour Bridge climb that night. We had to put on these coveralls (grey on the bottom so it didn't distract the cars when they looked up and blue on the top so it didn't distract people when they were looking from afar), headlamps, and a harness. Then we hooked into this line that went all the way around the bridge. The climb was over 1000 steps, but wasn't too hard. There were some tall and narrow ladders that we had to climb and we went right up above the traffic. It was a little scary looking down, but still a neat experience. When we got to the top there were fireworks on the harbor! It was perfect timing. We asked what the occasion was and our tour guide said it was most likely just some rich person celebrating a birthday because there was a party boat next to the one lighting off the fireworks. Thanks rich person, for the free 20 minute firework show! Sunday morning we drove up to Manly Beach. There were huge waves there and we got there right at sunset. Although the sun set on the opposite side, it created a beautiful scene on the beach. Once the sun went down we went to dinner and then to Max Brenner for a real dessert this time. Monday morning we got up early and took the train to the airport. Another successful adventure. Check!